The Dunes Restaraunt is a favorite local restaurant that’s been in business since 1982 and focuses on local, southern cooking. It has embraced the local food movement, and always tries to use local seasonal produce, regionally sourced eggs (we use a lot!) 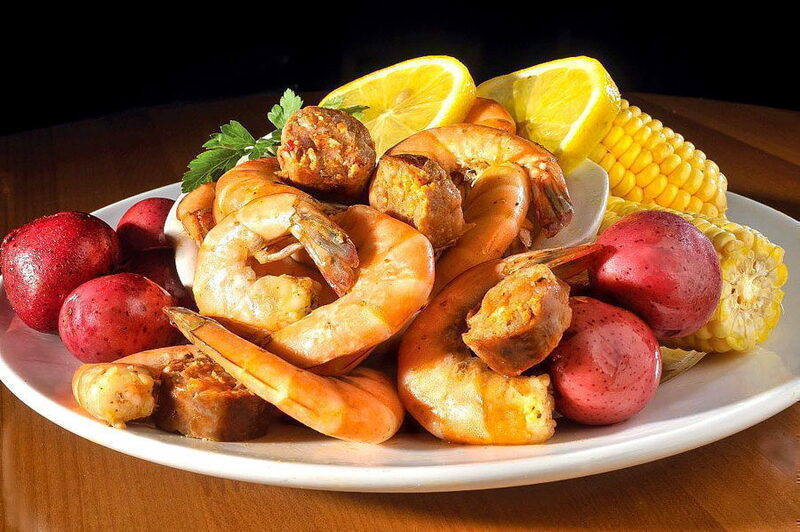 and fresh Outer Banks seafood in its dishes. Already known for its family style breakfast and robust dinner menu, as well as the relaxed feel of the R-Bar where you can grab a drink at the bar or sit in the reclaimed booths from Kelly's Restaurant & Tavern (now a part of history). Wine is available by the glass or bottle, as well as 10 beers on tap, many from microbrews in the state. A number of specialty drinks and martinis are also available. 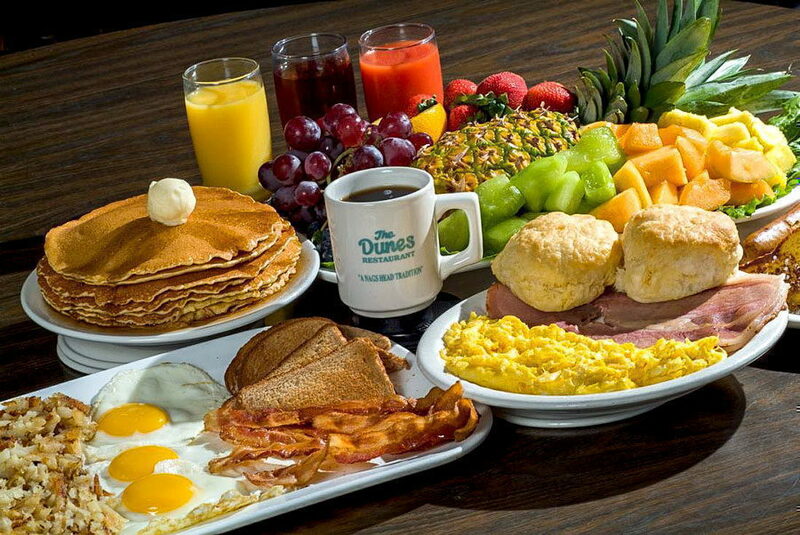 The breakfast and fruit bar, served daily in the summer, offers fresh fruit, homemade pastries, eggs, grits, bacon, cream chipped beef and sausage gravy. Menu items for breakfast include country ham platter, corned beef hash, country sausage and gravy, French toast and hotcakes, and sandwiches and biscuits. 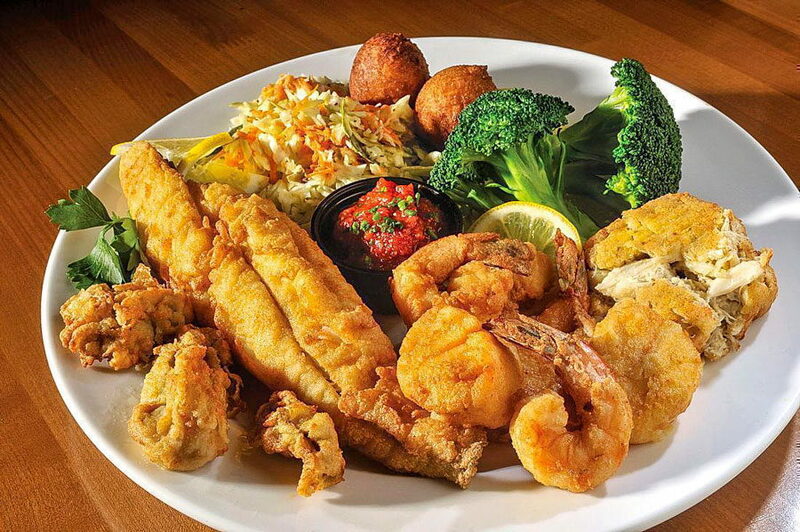 Dinner offerings include traditional Outer Banks fresh seafood like Atlantic sea scallops; shrimp, fried or broiled; steamed oysters; fresh North Carolina flounder; and homemade crab cakes. 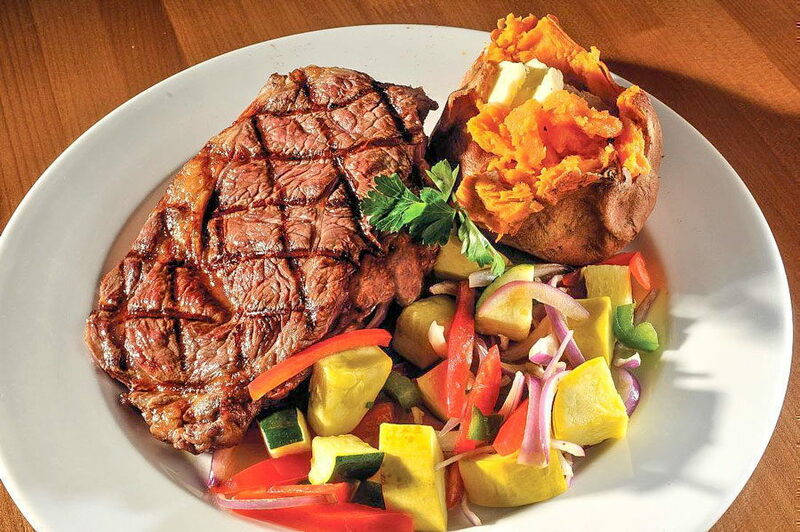 Southern specialities range from meatloaf to steak and chops to Eastern North Carolina BBQ to Southern fried chicken. And there’s all-you-can-eat shrimp or crab legs every night. 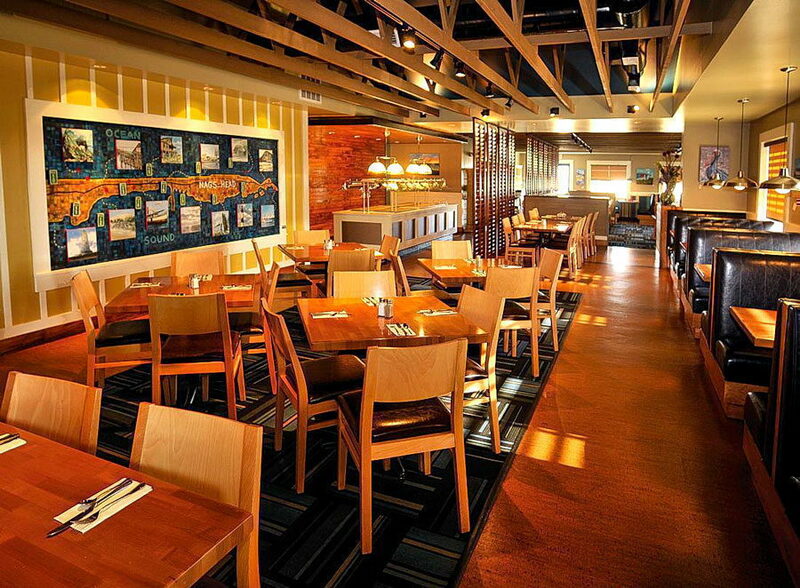 The Dunes proudly utilizes sustainable products sourced locally and regionally whenever possible. In our continued support of North Carolina farmers, fishermen and purveyors, we would like to recognize Etheridge Seafood, Old Mill of Guilford Grits, Celebrity Dairy, Green Leaf Farms, Daniels Seafood, O’Neal’s Seafood, Rose Bay Oyster Company, and more, as the season unfolds. A Place For Outer Banks Drinks & Cocktails. . . 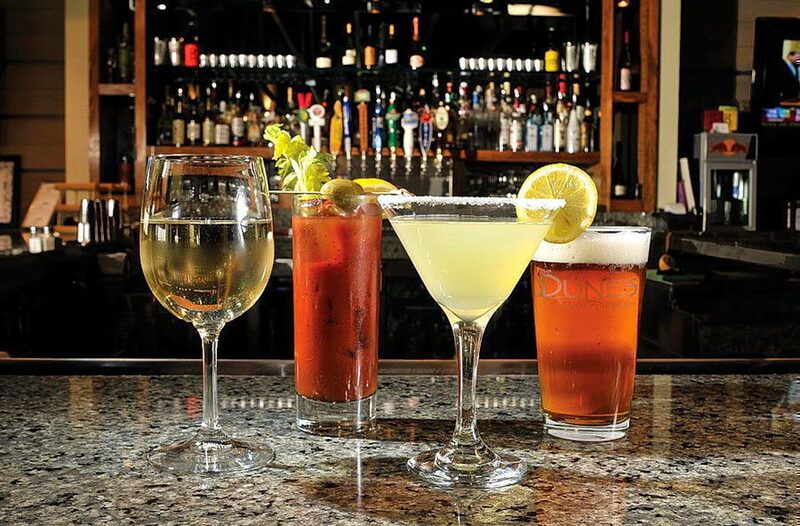 The Nags Head bar is a fully stocked with several beers (many special selections from NC breweries) on tap, a carefully selected wine list featuring many selections by the glass, and signature martinis and cocktails created by R-Bar’s friendly bartenders. The R-Bar features a bar menu with specialty appetizers as well as the Full Dunes’ Menu. So you can come in for a quick drink and an appetizer or a full meal. You choose. The name R-Bar was inspired by different people and things, in which the name brings all of them. “R” in R-Bar derived from a conversation between owner, Roxie, and the restaurant’s designers. Because of Roxie’s local Southern drawl, they kept thinking she was saying “R” Bar instead of “our” bar. The joke stuck and they realized “R” had many more meanings. The “R” was extracted from the names of Rufus and Roxie Pritchard, owners of The Dunes; Russell Hawk, a dear friend and valued employee who passed away in 2007; and also from the “Restaurant” sign that was a landmark located on the roof of The Dunes since its beginning. It was a big deal for Rufus to get rid of that sign, and so the big “R” hangs in the center of the R-Bar. R-Bar welcomes locals and visitors alike. There are two big screen TVs for your viewing pleasure. Roxie Pritchard and her retail manager, Angela Horne, are both known for their Southern style, good taste and ability to really pull together all measure of accessories to create some visually exciting Outer Banks ‘bling’. So whether you’re looking for jewelry, purses, accessories, or fun art, there’s a lot to take in at ‘Roxie’s Retail’. Roxie loves digging out bargains; featuring local artists and photographers; and putting a Southern spin on everything she finds. For the kids, there’s a big section of Ty plush toys as well as great beach finds. There’s something new every time you visit. So take a look next time you’re at The Dunes Restaurant. And if you see something you really like and didn’t purchase it while you were at The Dunes, give us a call or send us an email and we’ll ship it to you. Are you looking for an event location on the Outer Banks? Let the Dunes Restaurant be the venue for your next Nags Head party or event. Whether your Nags Head event is a birthday celebration, bridal or baby shower, rehearsal dinner, wedding reception, family gathering, school group, business meeting, or another special occasion, The Dunes will accommodate you in creating the ideal environment for you and your guests as well as working with you to create a memorable menu. From private parties to non-private groups with specific pre-arranged menus, The Dunes can be rented out partially or you can rent out the entire restaurant. No matter what the occasion, The Dunes would be happy to cater your in-house event. Send us an email and let us know what you’re planning. 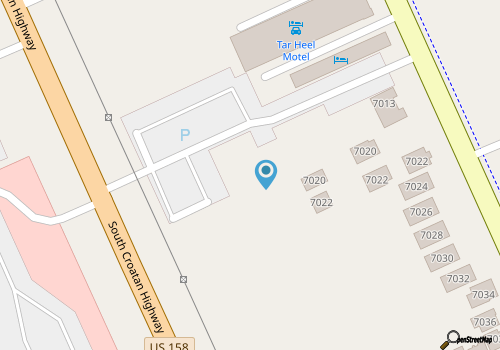 We're located across from Tanger Outlet Mall. Call 252-441-1600 for current hours.